SATURDAY at Tyagarah was muddy, it was fun and it became a big fiesta. Pablo Picasso, Jean Cocteau, Salvador Dali and Charles Chaplin had one thing in common: they were all fans of music of The Gipsy Kings' families. 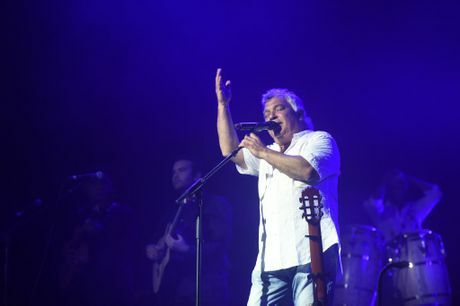 Twenty five years after Tonino Baliardo and Nicolas Reyes released their self-titled album, they turned the Crossroads stage at Bluesfest into a fiesta that got everyone dancing. They didn't speak a word of English, but in the most pure Spanish, Baliardo and Reyes thanked Australian audiences for their love and support all these years. The crowd danced to hits such as Bamboleo and Djobi Djoba, plus new songs like La Samba, from their latest (and ninth) album Savor Flamenco. The party started earlier with Melbourne Ska Orchestra, fronted by Nicky Bomba. The troupe had the crowd dancing before sunset with a mix of Ska, reggae, Latin and funk. Bluesfest director, Peter Noble, jumped on stage with the band and performed Message to You, Rudy with them. Nicky Bomba was his regular funny, fun and funky self, but he also had important messages for the crowd. Melbourne Ska Orchestra distributed collection buckets among punters to fundraise for The Green Ranger, a project by The Thing Green Line Foundation. The project raises funds to purchase mosquito nets for rangers who protect wild animals from poachers in Africa. The collection raised $3000 among the crowd. Melbourne Ska Orchestra also invited Torres Strait Islander singer songwriter Chris Tamwoy to make a statement against the potential closure of remote Australian Aboriginal communities in Western Australia. Mexican guitar virtuosos Rodrigo y Gabriela took to the stage with two guitars and plenty of rock and won over the crowd. The duo spoke little and played hard. Influenced by metal rock and Nuevo Flamenco, their show was lively, their music precise and their sound perfect. Hozier and Alabama Shakes repeated their fantastic performances from Friday, with the Irish singer songwriter and the US band gathering an impressive number of people for their second shows. 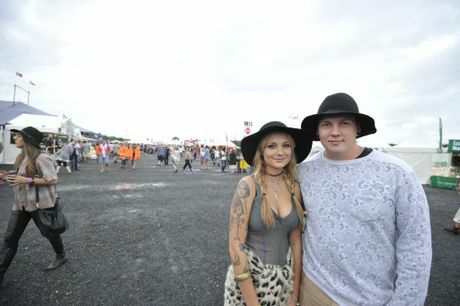 Continuing the all-day fiesta at Saturday's Bluesfest, bands such as Playing for Change, Jon Cleary and the Monster Gentlement, and Music Maker Blues Revues allowed punters to have a final dance in the mud before the end of the evening, closed by Paolo Nutini's second show and David Gray. Bluesfest organisers confirmed yesterday that American singer songwriter Trevor Hall has recently been hospitalised due to a serious infection. Although Hall is expected to recover shortly, his upcoming Australian tour, including his debut at Bluesfest, have been cancelled. 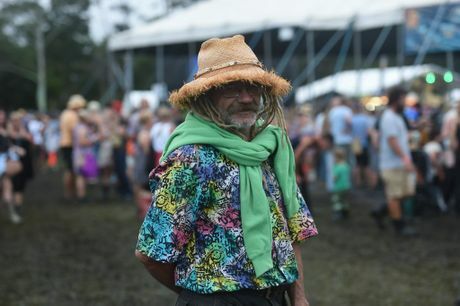 The show is part of Michael Franti's mini-festival Soulshine. Today's line up include a second show by Rodrigo y Gabriela, Jurassic 5, Melbourne Ska Orchestra and Gary Clark Jr.
Making their first appearance in this year's festival today will be Xavier Rudd with his new band, The United Nations, Afro diva Angelique Kidjo, Ben Harper and the Innocent Criminals, Blue King Brown, plus Blues iconic artists Mavis Staples and Charles Bradley and His Extraordinaires. For more information visit the Bluesfest Facebook page. 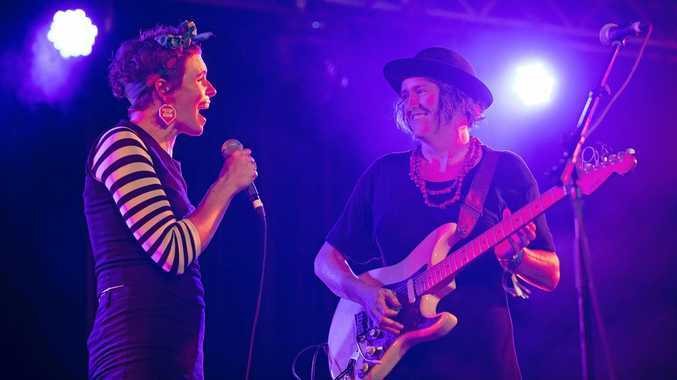 Bluesfest Day 3 recap: Published on 4 Apr 2015. 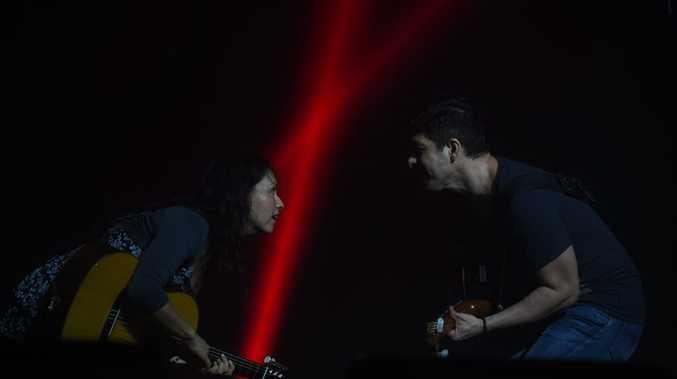 Music by Rodrigo y Gabriela, ''Tamacun''. Official Daily Video Release, looking back at Easter Saturday at Bluesfest 2015.